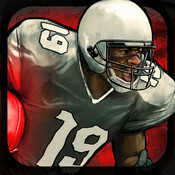 PLAY AS THE PRO KICK RETURNER. 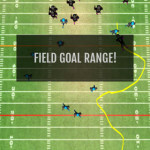 Field kickoffs, follow blocks, find holes, and break tackles on your way to the end zone in this amazing 11-on-11 kick return challenge! 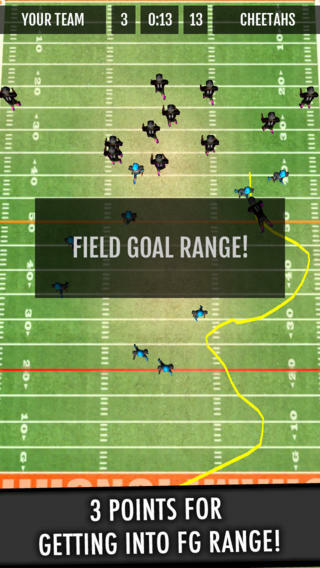 With ridiculously simple controls and no setup, Ted Ginn Jr. will guide you to becoming an elite returner in no time! 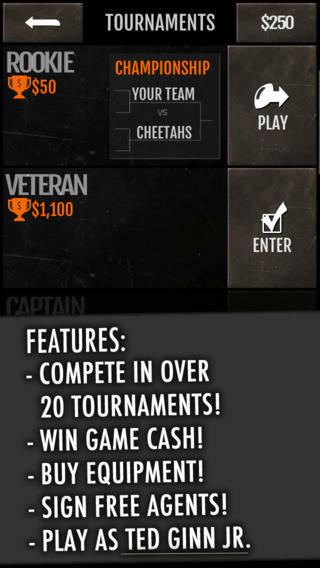 OVER 20 TOURNAMENTS. 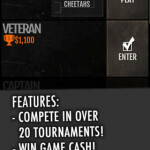 Start at Rookie and move onto Veteran, Captain, All Pro, etc… earning Game Cash to upgrade your team with every win! 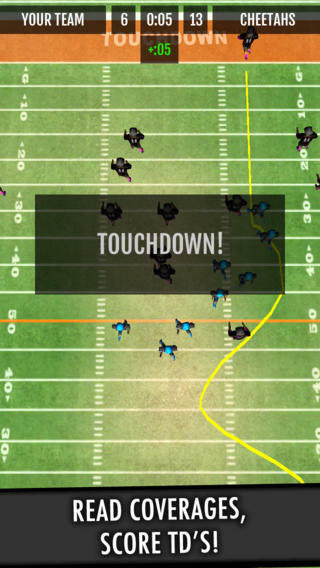 From the creators of Touchdown Run, the controls are designed to be simple, smooth, and responsive. You already know how to play! Can you read blocks and find holes while following fundamentals like being decisive and moving “north-south”? Then this game is for you! You won’t believe the plays you will make by following blocks, breaking tackles, and tip toeing the sidelines. Your friends will be amazed!